A trip to the main branch of the Vancouver Public Library in September inspired these words of thanks from the students in Grade Six to our host librarians . . .
A quiet moment . . .
Searching for books . . .
“I would like to thank the librarian for teaching me how to use one of the VPL computers. With that new knowledge, my friend and I found some information and printed it. We printed documents about Japanese Canadians such as information on the Asahi baseball team, the relocation of Japanese Canadians, and about Japanese Canadians themselves to share with our class. 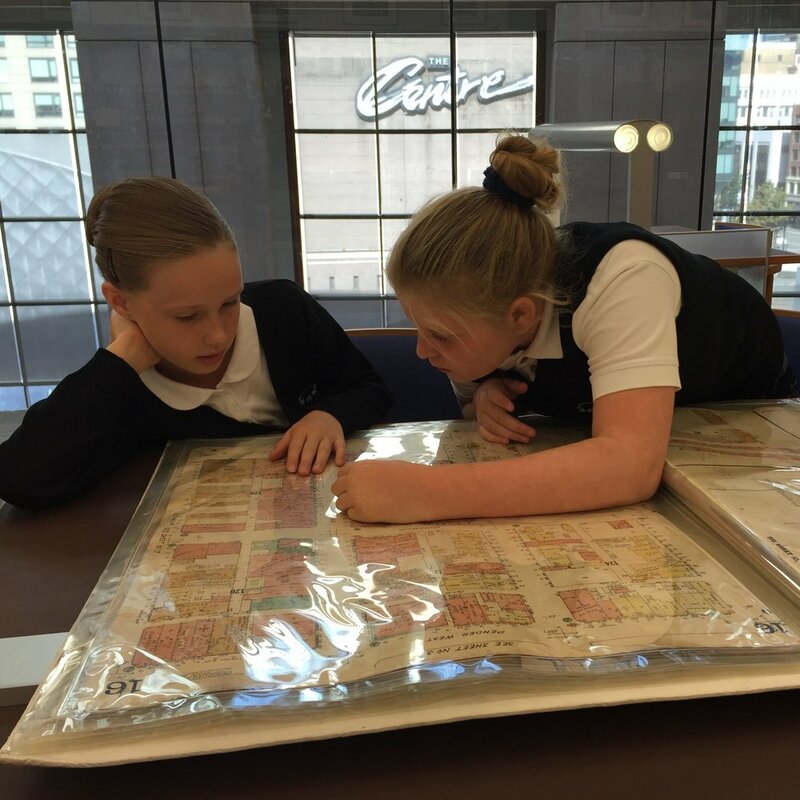 Due to popular demand, the Grade Six class will be making a return visit to the Special Collections Room at the Vancouver Public Library to engage in some more research around the topic of citizenship and justice . . . stay tuned!